Shauna Gilligan Archives - Andrew Nurnberg Associates International Ltd.Andrew Nurnberg Associates International Ltd.
Shauna Gilligan is a novelist and short story writer from Dublin, Ireland. She has lived and worked in Mexico, Spain, and the UK, and now lives in County Kildare with her family. She holds a PhD in Creative Writing from the University of South Wales. She is on the Arts Council of Ireland Writers in Prisons Panel, teaches novel writing at universities, and runs creative writing workshops for adults and teenagers. Shauna’s short fiction and reviews have been published in The Stinging Fly (Ireland), New Welsh Review (UK), The Lonely Crowd (UK), and Cobalt (USA), and she has been longlisted for the Bath Short Story Award 2016 and the Fish Flash Fiction Competition 2016, and placed second in the Dromineer Literary Festival Flash Fiction 2017. Her debut novel, Happiness Comes from Nowhere (2012), was described by the Sunday Independent as ‘thoroughly enjoyable and refreshingly challenging’. 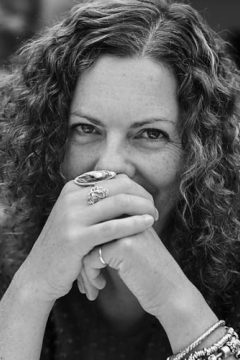 She has received numerous awards for her writing including an Arts Grant for Literature and the Cecil Day Lewis Literary Bursary for Literature in 2015, and was recently appointed (by the Irish Writers’ Centre and Dublin City Council) as Community Writer in Residence. An excerpt of her work was published in the anthology Reading the Future, edited by Alan Hayes and published to celebrate the 250th birthday of Hodges Figgis, Ireland’s oldest bookshop. She is currently at work on her next novel.